I don’t usually read books by people like Gar Alperovitz – he had a career as a Legislative Director in the U.S. Senate and House of Representatives and very much tries to speak a language that professional politicians will understand. I couldn’t give a monkey’s whether those people understand me, since they’ve never shown any inclination to try. A much more equitable distribution of wealth through a better distribution of ownership/shares. More democracy in everyday life, including in our economic institutions. Increased local democracy and eco-friendly living through radical decentralisation. Shorter working hours as an outcome of increased economic security. He calls this program a ‘Pluralist Commonwealth’ and it is all thoroughly excellent stuff compared to the ongoing transfers of wealth and power to global elites that we are currently seeing. He lays out what each part of his program might entail and talks about practical achievements that have been made towards them already. Again, I like this practicality, though readers outside the US should be warned it is very US-focused, but I won’t go into detail here because it would make the review too long and you should read the book yourself. If Gar lived in the UK and I thought he could attain all this through the electoral system I’d side with him any day rather than some self-declared revolutionary who can’t explain to me how I’ll get healthcare after the revolution he has no idea how to bring about. 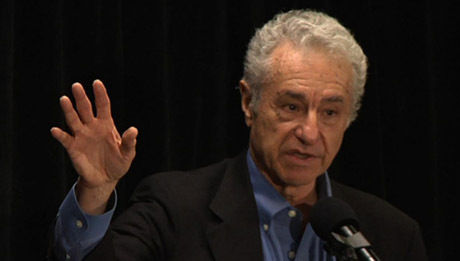 Alperovitz has pinned down a lot of what I would want from a radically reformist program. Particularly less working hours. Anyone who can get me that should be in no doubt I will buy them a pint next time we’re in the pub together. But there are some major niggles to be dealt with first. Firstly, a lot of his ownership distribution talk does come down to distribution of shares. I think this is really problematic and I outlined why here so I won’t do it again. Secondly, he can be a little vague on the economic democracy. He eulogises worker-owned firms/co-ops and I agree they are good. But he doesn’t really talk about how to deal with the corporations that currently exist or how to resist the massive power they wield. Thirdly, he never confronts the problems of markets head on. He never asks how we would stop competition from producing the kind of high social and economic costs it creates at the moment. Even co-ops can be cut-throat if their business is on the line. Fourthly, for all the talk of localism and community, a lot of the organisations he talks about – such as Community Development Corporations – can still be vast impersonal machineries that leave people who don’t operate well in institutions out in the cold. Fifthly – and I think this is his greatest weakness – it is implicit in his writing that we can persuade policy-makers to make the changes he wants. But clearly the interests of a lot of powerful people are against these changes – that’s why the status quo is the status quo. I think you would need a powerful grassroots movement to balance out those powerful interests but Alperovitz seems to think he can just provide tools to policymakers and they’ll use them. While he talks a lot about the current imbalance of power, there is little recognition that this is the biggest obstacle to change. Still, here is a man who recognise that we are in the midst of a systemic crisis, “an era of history in which the political-economic system must slowly lose legitimacy because the realities it produces contradict the values it proclaims.” And he sees some part of the solution: “Systemic change above all involves questions of how property is owned and controlled – the locus of real power in most political economies.” What’s more, he puts forward practical ways to attempt to deal with this. For that reason America Beyond Capitalism is worth reading, whatever its faults and blind spots. Thanks to We are not the beautiful for letting me read his cheat sheet on America Beyond Capitalism.